The fabrication requests for the track corners and solar panel ribs and tabs have been fulfilled. 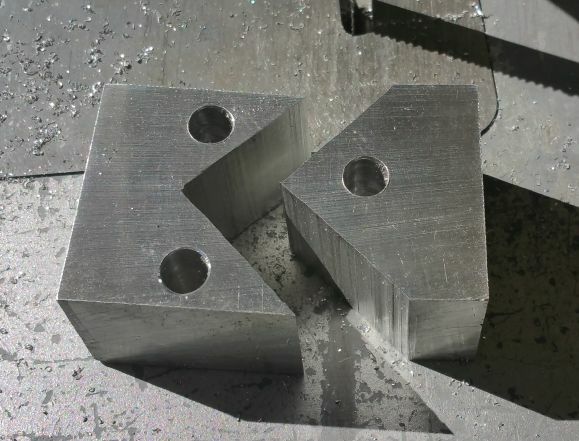 No other fabrication requests have been made of the track fabrication and process development team to date, so the focus hereafter will be as follows. Immediate priority will be given to any issues that arise that require immediate attention, and the focus will otherwise be on one of several tasks. One task is to create documentation and coalesce knowledge gained, with the intent to hand off the task to any who would follow my role in later years. Another task is investigating suggestions from this past semester, including variable-radius benders and dies. One additional task will be to analyze the inoperable machines in the Spartan Superway tech shop, and set about determining if fixes can be made to resurrect any machinery. There were some specifics regarding work on the solar panel ribs and tabs this past week, detailed in Kevin's post for the week. In short, the ribs and tabs could be created, but the process allowed for very little error in the fabrication. Below is the first presentation of the semester, showcasing the fabrication thus far and some additional details on how the output was formed in terms of monetary and temporal investment. 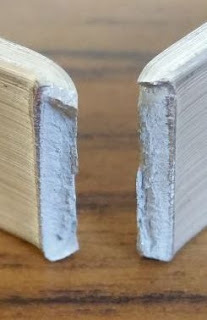 An example of stress fracture in the bend section of the aluminum rib. Fabrication of an aluminum block to bend the material. Tabs followed the same process, but did not include the center section like a rib.